Testimonials & Reviews - McKinney, TX: Stephanie Cudjoe, M.D. How do exercise and diet compare for weight loss? Dr. Stephanie Cudjoe always appreciates feedback from her valued patients. To date, we’re thrilled to have collected 23 reviews with an average rating of 4.83 out of 5 stars. Please read what others are saying about Dr. Stephanie Cudjoe below, and as always, we would love to collect your feedback. I am excited to be a new patient of Dr. Cudjoe. She was very thorough and took time to hear me out on my health concerns. Both she and her assistant, Lynette, were kind, welcoming and fun! I am thankful to have these people on my team. I was welcomed with genuine care and concern. I was treated with dignity and respect and I felt that they had a true understanding of my health concerns and will be able to help me maintain a healthy future. Everyone in the service and medical industry can take a lesson from Dr. Cudjoe’s friendliness, patience, knowledge, willingness to help, and bedside manners! Both her and her staff SUPERCEDE my expectations with every visit! I never feel like my visit is a drudgery. She leaves you feeling good inside and out!!!! What a great person and doctor! Dr. Cudjoe and Lynette are the best. Dr. Cudjoe is the greatest! She is very professional and extremely caring. You can feel her genuine concern for you! She is the best! Most wonderful and kindest Dr ever. Can't thank her enough for taking care of me. Dr. Cudjoe and team is AMAZING! They listen, ask question and provide the best care I have ever received from a doctor. Dr. Cudjoe is more than our doctor, she is our family! My experience with Dr. Cudjoe is always great. She treats the whole patient and never treats you like you are a paycheck. She genuinely cares about you. I love seeing Dr. Cudjoe! She is the best doctor. She’s the only doc I trust! Dr. Cudjoe is always very patient and compassionate. She genuinely cares for the well being of her patients - best doctor by far. And her practice has a very warm and welcoming environment, starting with Lynette at the front desk. Dr. Cudjoe provides excellent service and is very thorough. Speaks in terms you can understand. Dr. Cudjoe is awesome! The office has a fun family vibe. She has wealth of experience and information and relates it in an easy to understand, down to earth way. This the best choice I’ve made in a long time. Feel in good hands every time we leave.! Dr. Cudjoe is simply the best doctor that I have known. I was first a patient of hers at another hospital and after she left it was tough to find someone with the amount of care about not only your physical health but your personal well being. When she started Bloom-med, I jumped at the opportunity to be her patient again. 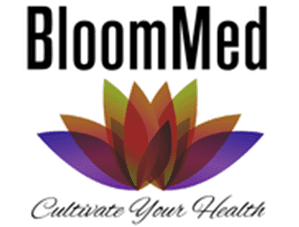 Bloom-med is clean, professional, and it’s so easy to make an appointment and see the doctor. Staff is great and they follow up without being prompted. Usually I’d have to make an appointment months in advance and wait for an hour or so before I actually talked to a doctor. Not here. I can usually book within the same week of my call and i’m seen minutes after arriving. I’m not rushed to be out at a certain time but they also know my time is valuable so they get to the point. 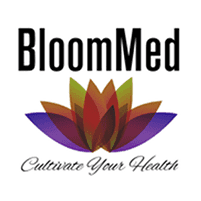 I could go to any doctor and pay whatever copay but I would rather become a member at Bloom-Med because i’m not just another patient. It truly feels like home and that the doctor really cares. I’m blessed to be her patient. That’s how good Dr. Cudjoe is! Dr Cudjoe was professional and very easy to talk to.